Adorn yourself with our exquisitely beautiful “Style Me” bracelet finished in popular rose gold. Sparkling with stunning AAA quality cubic zirconia, it's the perfect accessory to dress up any look. 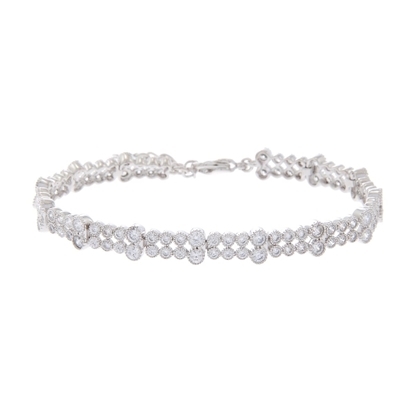 Adorn yourself with our exquisitely beautiful “Style Me” bracelet finished in rich and durable rhodium. Sparkling with stunning AAA quality cubic zirconia, it's the perfect accessory to dress up any look.